The successful completion of the Southern Gas Corridor project will open up new opportunities, new horizons for Azerbaijan, said President Ilham Aliyev as he chaired a meeting of the Cabinet of Ministers, AZERTAC reports. “This year we will increase gas production. Gas is already coming from Shah Deniz-2. Its volume will increase even more next year and beyond. So we are doing everything possible to fully achieve the goal and, according to the latest data provided to me, there are also no problems with the implementation of the TAP project, which is the final part of the Southern Gas Corridor,” the head of state said. “The successful completion of the Southern Gas Corridor will open up new opportunities, new horizons for us. We will access the markets of many countries with our resources. Then, taking this into account, we can implement new infrastructure projects in these countries. Negotiations are still under way, so I don’t want to say anything in advance. However, I think that we would want to remain not just a country that supplies gas to other countries, but also to manage the gas industry after that. 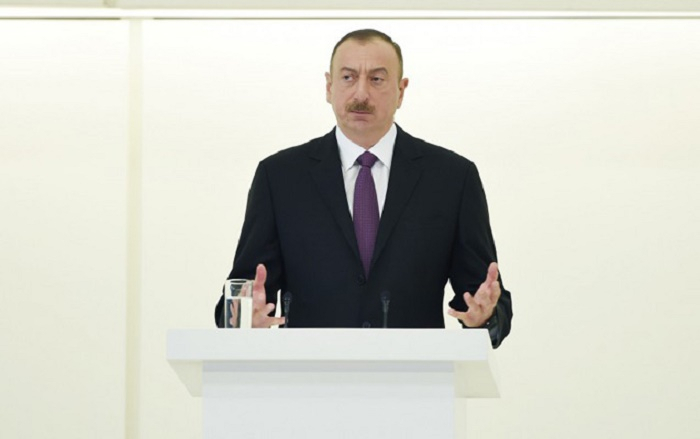 This will further increase the efficiency and revenues, will lead to the creation of a new infrastructure in the countries we will work in,” President Aliyev added.